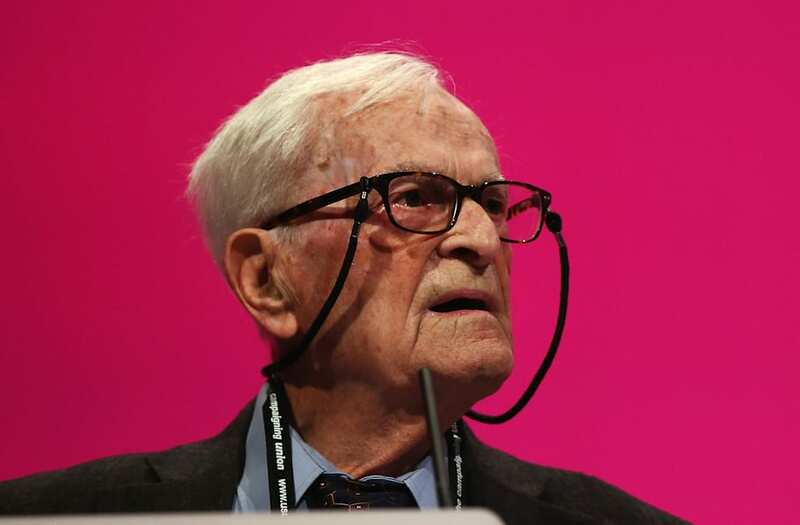 Harry Leslie Smith is a World War II RAF veteran who will turn 95 in February 2018. He is also an activist who's written several books on the Great Depression, which he experienced in Britain, the war and the rise of Neo-liberalism in the West. Recently, Smith has been vocal in advocating for refugee rights, visiting the Calais "jungle" and tweeting his passionate political opinions (he's a Labour supporter). But there's still a challenge Smith wants to complete: traveling to refugee camps across the world. For this reason he's launched a crowdfunding campaign on GoFundMe to help him fund his tour. Calling it "the last great challenge of my existence," the tour will touch refugee hot spots in Europe, North America and possibly Australia "to document this preventable tragedy that may lead us to another war as gruesome as the one I helped fight against Hitler over 70 years ago," he wrote. "I want to turn my research, my impressions, my outrage and passion into a book that can help shake people from their complacency," he added. While on the field, Smith will also be podcasting, writing, and tweeting. As he notes, his Twitter feed has over 123,000 followers and people of all ages are inspired by his voice. "I am one of the last few remaining voices left from a generation of men and women who built a better society for our children and grandchildren out of the horrors of the Second World War as well as the hunger of the Great Depression," Smith writes. "Today, the western world stands at it’s most dangerous juncture since the 1930s." The veteran says most of his speaking engagements were funded from his old age pension and the royalty he receives as a writer. "I do not wish to leave debt to my family when I am gone because of my activism endeavors," Smith explains. "So, I am asking you to help share my burden of informing the ordinary citizens of this nation about the dire consequences that will occur if we do not attend to the refugee crisis, the scourge of demagoguery in modern politics as well as the growing inequalities between rich and poor citizens in all countries of the world."